How to Save iPhone SE/6/6S/7/iPhone 8(Plus) Battery Power and Extend iPhone Battery Life? There are ways to save your iPhone 6 battery power that you might never have known especially, when you are indulging in movies. Through reasonable power-saving settings, you may be on the way of extending the service life of your iPhone 6S/6 Plus/5S/5/4S (or iPhone 7), etc. 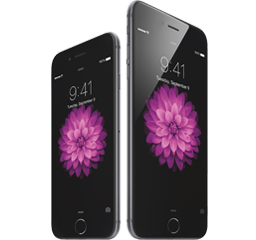 The smartphone developed by Apple is always widely known for unsupported battery changing. However, the longer the battery has been used, the shorter the stand-by time of phone will be. It is not suggested to change the battery by yourself unless you are a dye-in-the-wood expert because detaching battery will endanger your new iPhone 6/6S (Plus) to make it scrap easily. The biggest killer of iPhone battery is not CPU, not calling, but watching videos or playing games on the larger and larger screen. So, how to save the battery power of Apple iPhone 8/7/6S/6/SE/5S/5C/4S during video playing has become the increasing concern. Hopefully, some of the following tips will be helpful for iPhone 6 battery life prolonging. 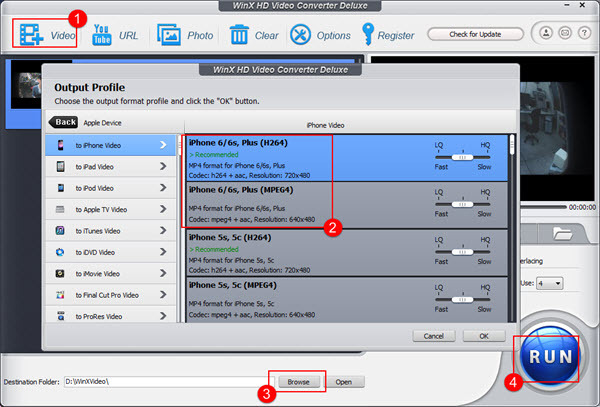 >> Before that, you may need WinX HD Video Converter Deluxe to save iPhone's Battery life. WinX HD Video Converter Deluxe - Help convert SD/HD videos to iPhone 6 and save battery power via offline playback. Settings -> Wallpaper & Brightness -> turn off "Auto-Brightness" -> change the screen brightness to 40% constantly. This can meet your basic need of watching videos on iPhone 6/6S/7/8 (Plus) while controlling the power loss obviously. 3. Change online video watching to offline video playback: If you need to save iPhone battery life to a greater extent, avoid watching video online by use of Wi-Fi or 3G is the best way to go. Why? Online video playing requires GPRS to receive the images of video. It has very high demand on signaling. The higher the signal is transmitted by the phone, the more power it will consume. Besides, CPU needs unceasing decoding and converting during online video playing, which also affects the power usage greatly. Therefore, preparing videos on your iPhone 6/iPhone 7 beforehand helps prevent all the problems above. You don't even have to enable your WLAN, Cellular or 3G network connections that may decrease the battery life of your iPhone 6/iPhone 7. But most videos are not compatible with iOS devices, so how to make them work on your iPhone 6 or iPhone 6 Plus? Step 1: Install the exe file after downloading WinX HD Video Converter Deluxe in either Windows or Mac edition, and open it. A. 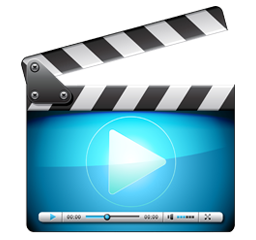 Make sure which videos existing on your Mac are to be converted. Click "+ Video" on the software UI and load the source file. B. 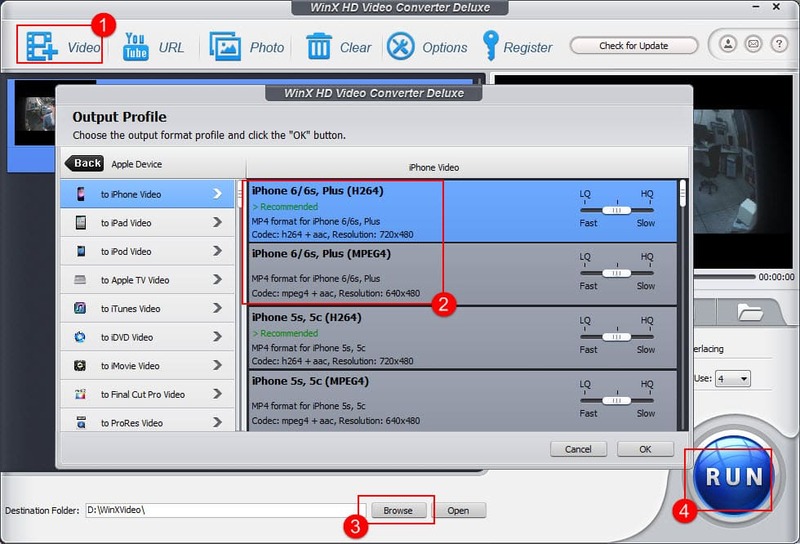 Under Output Profile, choose "Apple Device" -> "to iPhone Video" -> "iPhone 6, Plus (MPEG4 OR H264)". 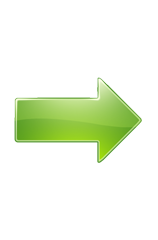 C.	Set the destination of output file by tapping "Browse" button and hit "RUN" button to start the fast video conversion. After a while, you can get the complete converted video file on your designated folder of your computer. Step 3: Sync the video to your iPhone 6/6S/7 (Plus) with WinX MediaTrans, the best iTunes alternative for transferring media files. 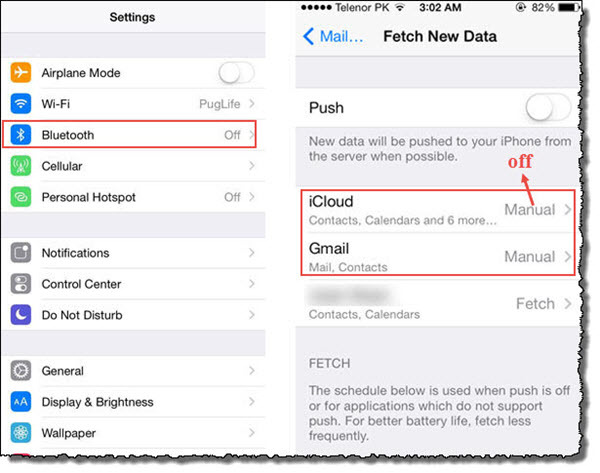 Step 4: Make the power-saving settings mentioned above and turn off WLAN, 3G and cellular data on your iPhone to stop all data to WLAN, including email, web browsing, and push notifications. Step 5: Open the synced/transferred video file on your iPhone and play it anytime anywhere. 1. Try to charge properly: offer the most suitable voltage for iPhone 6 battery at the proper time. Avoid overcharge and over discharge. 2. Turn off the push notification. For any newly installed apps, choose not to send push notifications; for existing software: Settings -> Notification Center -> turn off part or all of them. 3. Prohibit sending diagnose data to both save power and protect privacy: Settings -> General -> About -> Diagnostics & Usage -> Don't Send. 4. Shut down system service: Settings -> Privacy -> Location Services -> close all services or the not frequently used ones. 5. Restrict advertising tracking: Settings -> Privacy -> Advertising -> Limit Ad Tracking (it is open by default after iOS 7). 7. Selectively ban iCloud services: Settings -> iCloud -> Close "keychain", "photos", "documents & data". 9. Lower the volume and cancel vibrating: Settings -> Sounds -> turn off "Vibrate on Ring" -> close "Lock Sounds" and "Keyboards Clicks". WinX HD Video Converter Deluxe - Free download music songs and convert music videos to audio files in MP3, AAC, or iPhone, iPad, iPod, Apple TV, etc.